Girls Wear Blue Too: Can I smell baking ? Can I smell baking ? So we opted to buy a new oven. Repairing the old one wasn't justifiable at the prices we were being charged. While the actual cost is considerably more we got a good price and a great interest free term. So it will only be a small amount each month. The security and benefit of having a reliable oven is worth it. I am so excited to have an additional half size oven, the perfect size for baking bread in!! and not having to heat that whole big cavernous space!! Its still a few weeks away yet but I am looking forward to having baked goods again! We also opted to buy a half size small upright freezer which approximately doubles our current freezer space and is something we have been talking about for a while. Congratulations Tammy! How fantastic, you wont know yourself. We have also started looking at ovens and I don't know where to start. And another freezer, my dream. Hope you are having a great weekend. Yeh, I'm with kate, you wont know your self, a chef needs a oven!!!!! Oooo looking forward to a recipe or two!! Tammy that is wonderful news! I am sure you will love having the extra oven space. I find when I cook I tend to cook lots and always run out of oven room. freezers are very handy to have too. 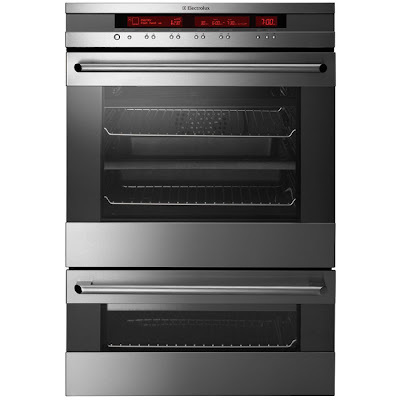 How exciting, I bet you cant wait for delivery day.The oven looks fantastic. It looks so nice and the extra space will be perfect. Woh-hoo! can I come over to bake with you. I just love the idea of the small oven. Hope you have an easy time waiting for the oven and freezer to arrive, I would not! Hope you had a wonderful weekend! Yay! Congrats on the new appliances! I love that half oven...and an additional freezer, too?!! I'm finding myself a bit envious...lol!